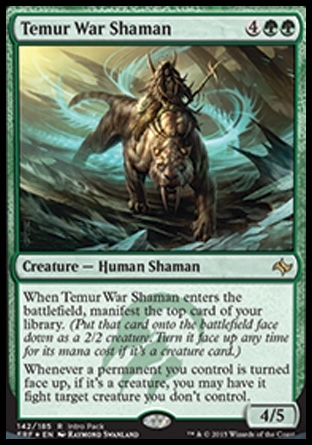 Temur War Shaman ($0.00) Price History from major stores - Media Inserts - MTGPrice.com Values for Ebay, Amazon and hobby stores! Card Text: When Temur War Shaman enters the battlefield, manifest the top card of your library. (Put that card onto the battlefield face down as a 2/2 creature. Turn it face up any time for its mana cost if it's a creature card.) 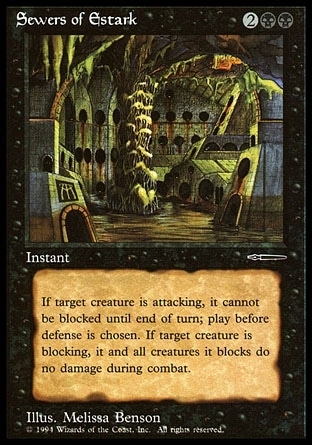 Whenever a permanent you control is turned face up, if it's a creature, you may have it fight target creature you don't control.